The Danville Junction Chapter of the NRHS operates the Rossville Depot Railroad Museum in Rossville, Illinois. See schedule and location information below. The depot, built by the Chicago and Eastern Illinois Railroad in 1903, has been restored to the 1950's era of that former road. The building sits adjacent to the Chicago-Nashville mainline of CSX Transportation, formerly known as the Seaboard System and earlier the Lousville and Nashville Railroad. The depot has been leased from these lines since 1976. 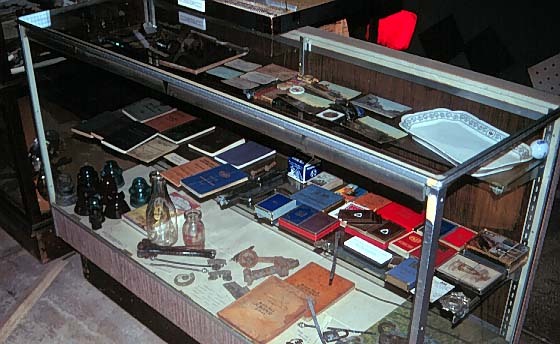 The museum features a collection of railroadiana material from various railroads in the area. Those featured include the C&EI, Wabash, Illinois Terminal and NYC. The operator's bay has been restored with operating telegraph keys and sounders. Dwarf signals of several styles light the agent's room. 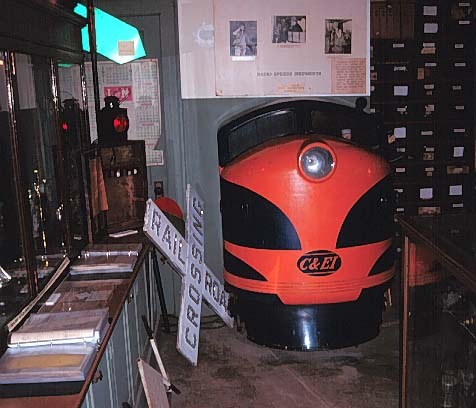 The collection includes many laterns, the bass drum from the C&EI "Flyer Band" of the 1920's and a four foot high replica of the front end of a C&EI F-unit from the 1949 Chicago Railroad Fair. 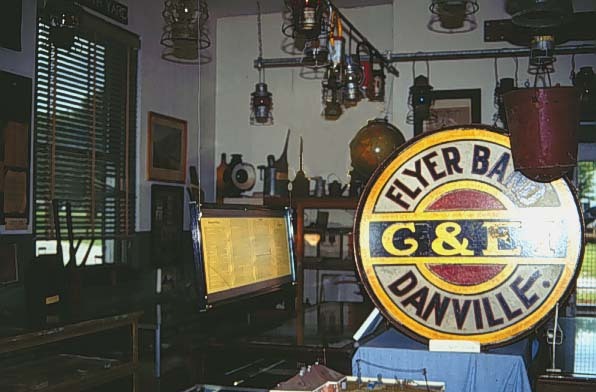 Also included are the trophy case and train board from the Danville station, the train order signal and control panel from North Yard interlocking in Danville, playing cards, china and other items too numerous to mention. 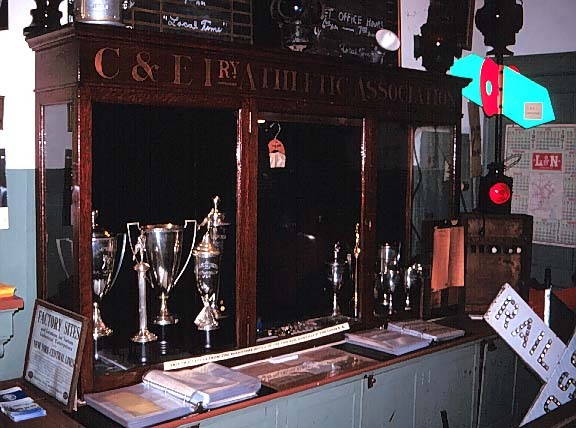 In 1968, the Chapter received a donation of records from the Danville office of the C&EI. These records are available, by special arrangement, for research purposes at the Vermilion County Museum. Featured in the former baggage room is an operating HO scale model railroad constructed by members of the Chapter. NEW! Check out the model section of the site for more information on the Chapter's model railroad. The "virtual tour" linked below is still good, but a bit dated. Click here to learn more about the layout. The Village of Rossville is located in the extreme eastern part of Illinois about 100 miles south of Chicago and 20 miles north of Danville. The depot is at 210 E. Benton St. at the railroad tracks. From the north, take Route 1 south from Hoopeston into Rossville. Turn east on Benton at the grade school and proceed two blocks to the museum. From the south, take Route 1 into Rossville. Go one block past the stoplight to Benton St. The depot is two blocks east at the tracks. Since the depot is next to the high speed mainline to Chicago, we ask that while visiting you observe our most important safety rule: Stay behind the fence and off the tracks. After all, we want you to come back and see us again! After visiting the museum, be sure to to stop at the more than 20 antique and gift shops in downtown Rossville. There are also two fine restaurants to satisfy your needs. The Chapter operates the museum from Memorial Day through Labor Day on weekends and holidays. Hours are Saturday and Sunday from noon until 4 P.M.; 5 P.M. on Holidays.